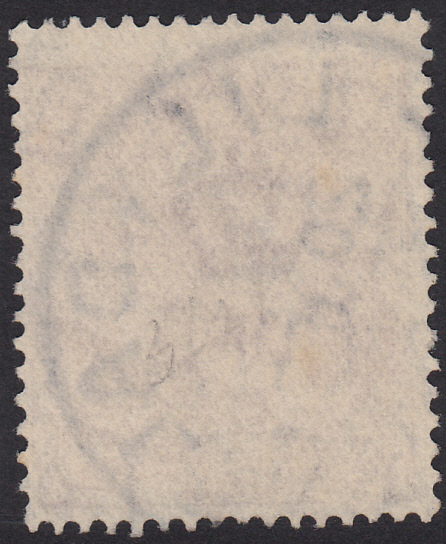 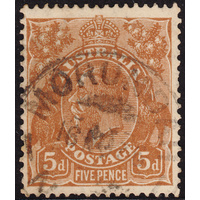 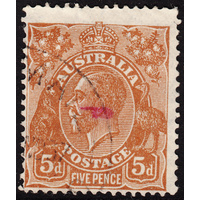 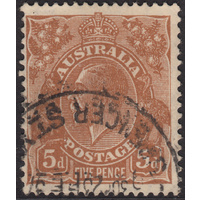 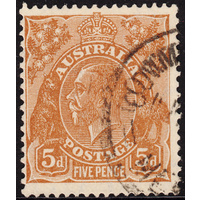 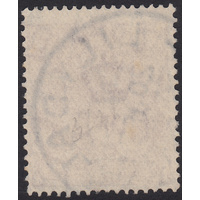 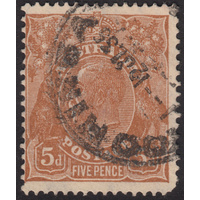 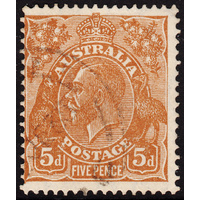 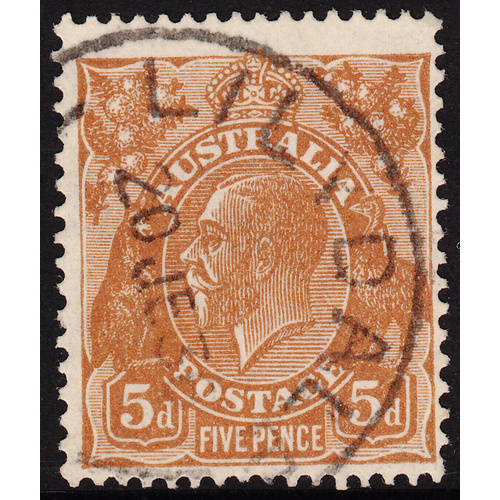 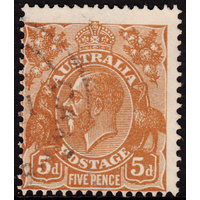 Australia KGV 1931, 5d Brown, Die 2, CofA Watermark, variety 3R21 (downward swelling of bottom white coloured border of Right Value Shield 0.5mm right of point, minute colour spot at left of crown top) in Fine Used condition with one nibbled perforation at bottom. 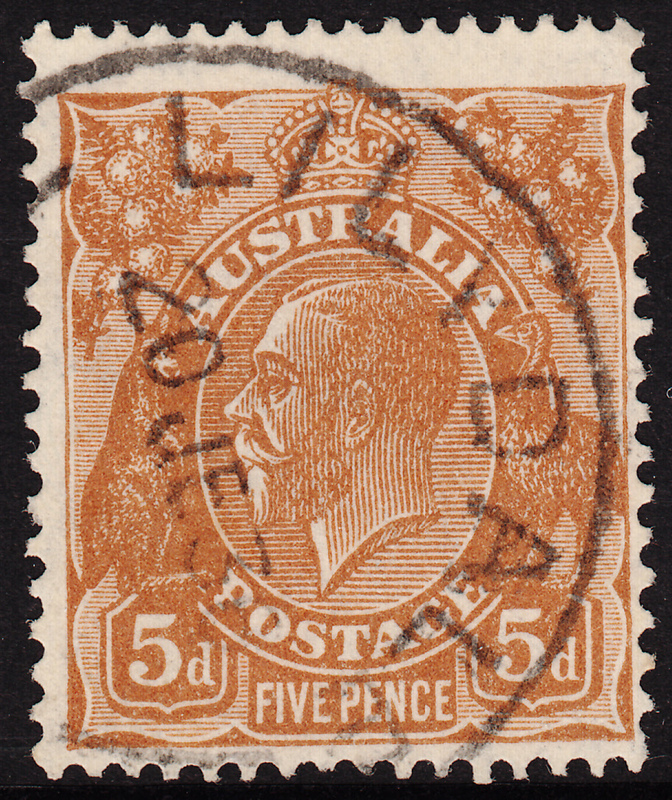 Centered low and right with a circular datestamp cancellation (LILYDALE, 20th June 1936) clear of the variety but obscuring the second indicator. 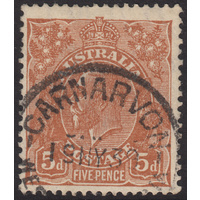 The first indicator is definitive.